It has been replaced by the EZ-Dish 100 Omni Directional Antenna !!! 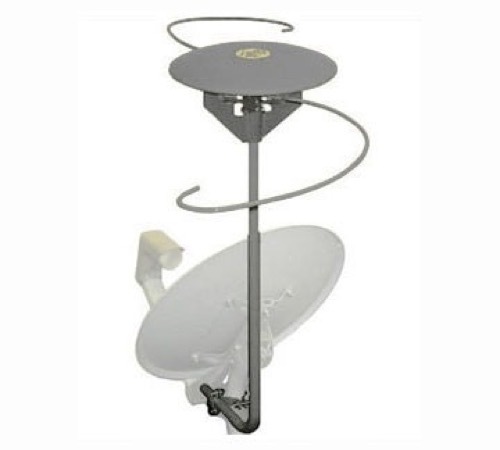 The Omni-Directional design captures signals from all direction providing excellent 360 degree HDTV reception!!! Suited to most homes and business locations!!!! Two Built-in combining diplexers allows for just one cable into the house for both local and satellite signals. Tuned antenna elements and amplifier provide striking picture quality. Durable weather resistant construction gives years of trouble-free service. Includes all hardware for fast and easy installation. Please Note: This antenna is designed to be used with Dual LNB Satellite Dish Systems. The Antenna draws power from your Satellite Receiver to achieve Signal Amplification. If you do not use plan to use this antenna with a satellite dish system, we recommend adding a Winegard PS-1503 Power Supply to achieve signal gain.